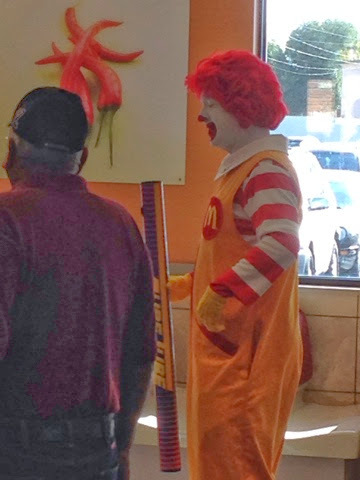 At my stop at Mc Donald's this am Ronald McDonald stopped in to say hi to folks. He was actually a good looking Ronald and played the crowd well. 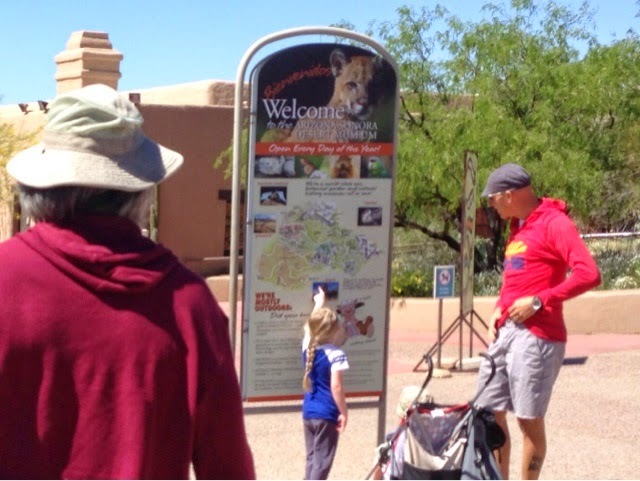 The Arazona-Sonora Desert Museum is located next to the Saguaro National Park West. It is immediately before the trailhead I parked at when I climbed Wasson Peak the other day. 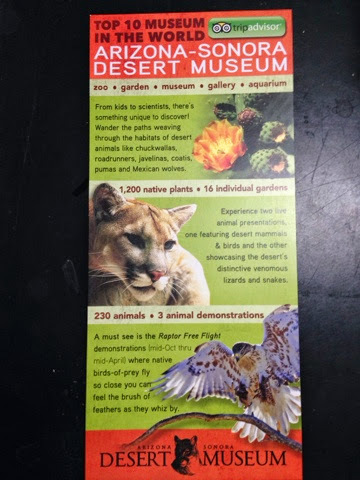 I passed over this as a point of interest before now but their brochure caught my interest and it went up on my list. It says "Top 10 Museum in the World". The website didn't sell itself either do I took a chance and decided to go. The cost was $19.00 got an adult. The senior discount here doesn't start until your 65. When I arrived at 10:00 there was a good crowd already there. From what I read it takes a minimum of two hours to tour the museum. There are two circle routes in the park connected at one spot with smaller loops or spurs off theses loops. The loop closest to the entrance is a concrete walkway that connects museum and display buildings. 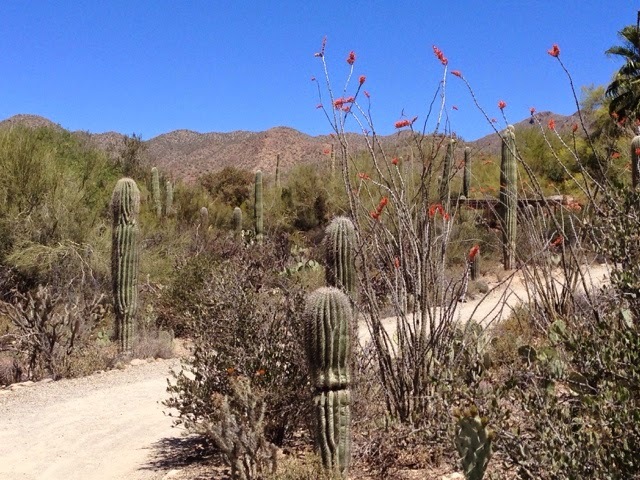 The outer loop is a hardened dirt path through the Sonoran Desert environment. This is a view to Wasson Peak across the road. 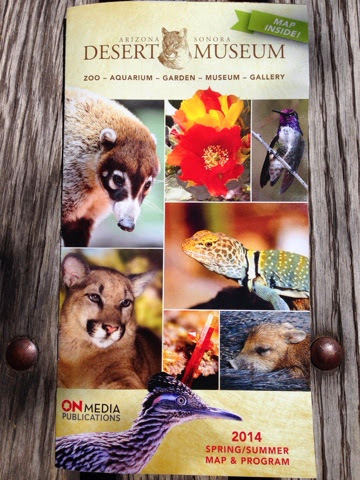 The museum is a zoo with 230 animals, botanical gardens with 1200 native plants, museum, gallery, and aquarium. 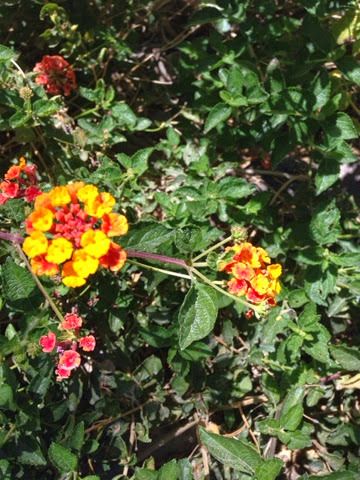 I liked this flower for its mix of orange and yellow. There was a netted humming bird environment. 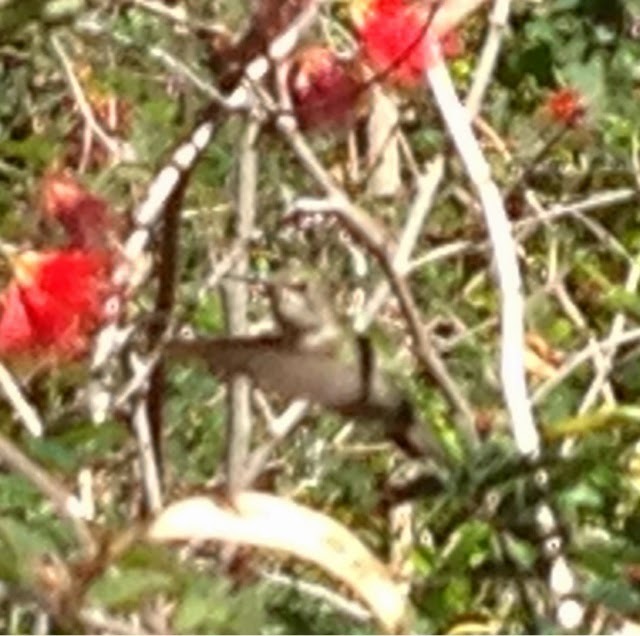 It's hard to catch a humming bird in flight, but I caught this one, although a bit blurry. 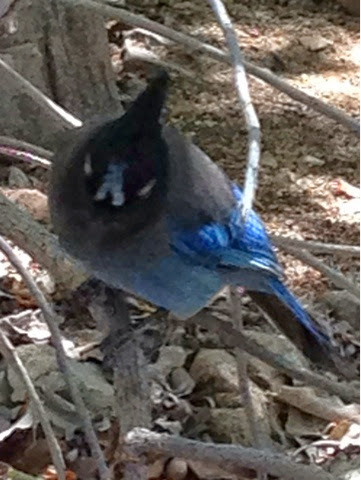 In a separate netted rnvironment this bird dressed in blue posed for me. 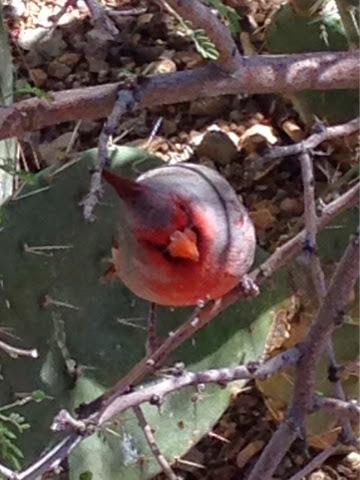 This bird dressed in red didn't want the blue one to out do him, so he also posed for my picture. 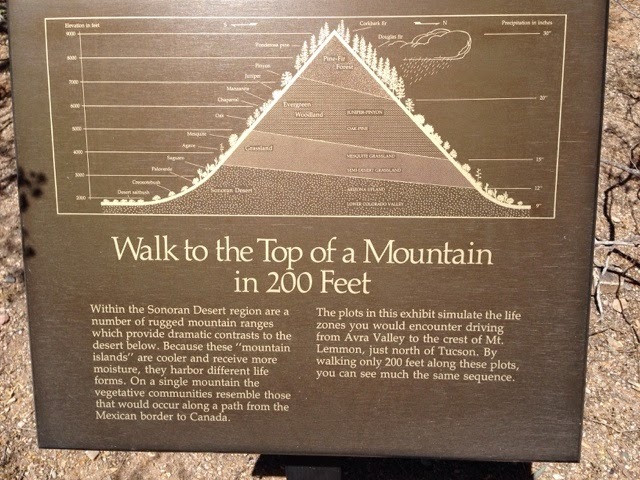 This diagram shows the desert environment change as elevation changes and as does what grows at what elevation. 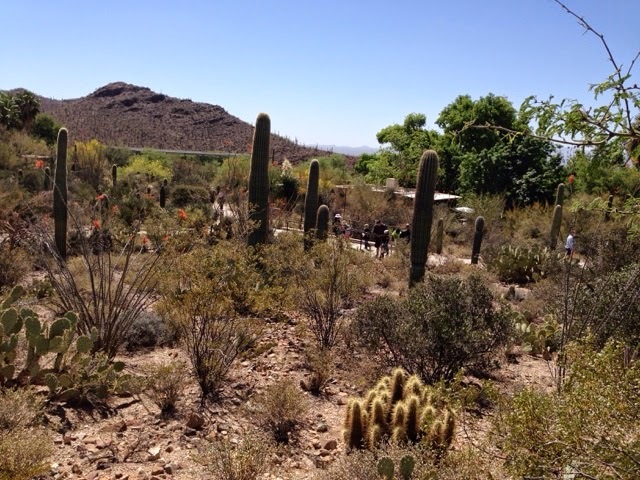 There is plenty of cactus here at the museum. I told Denise tonight that the museum would have been a good place to go first when arriving in the area, as you learn about what you will see when hiking the mountains. Yesterday's hike on Finger Rock Trail went through all the environments shown on the chart above. 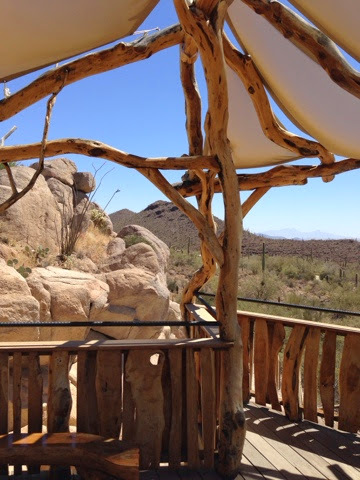 I liked this overlook / rest stop with the interesting supports for the canvas. 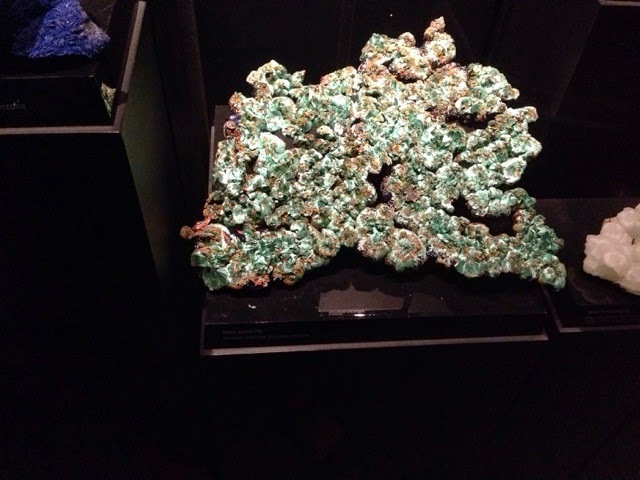 They have a cave display and next to it is a mineral display. 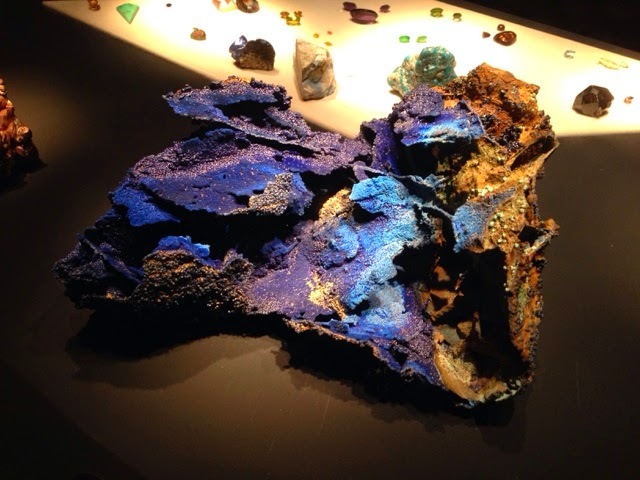 Here is an interesting piece of copper. 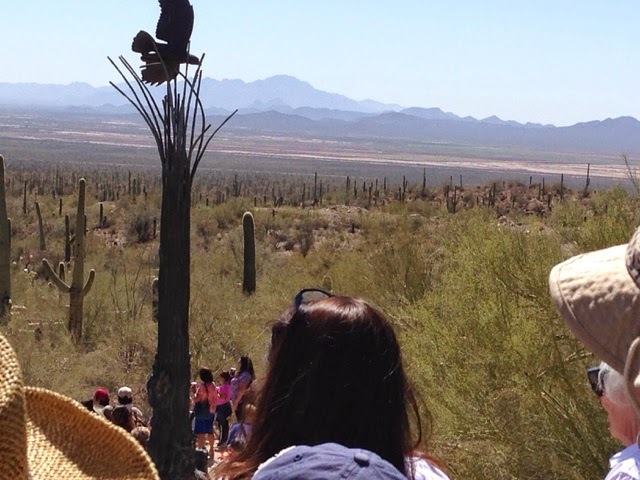 At 2:00 pm there was a live raptor demonstration that drew nearly everyone in the park. The post in front is a metal statue. 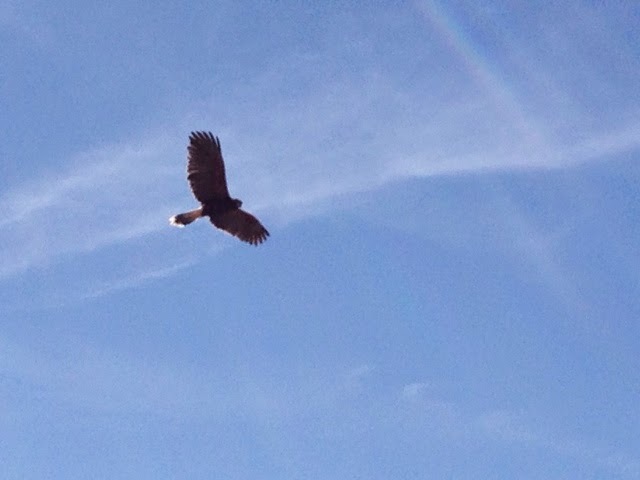 Here is one of the many raptors showing off in flight. The bird in the hand. 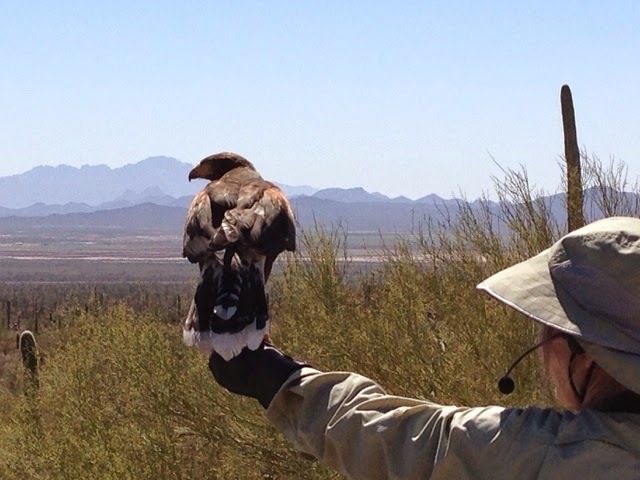 The raptor was the last stop for me on my tour of the Desert Museum that took me 5 hours to visit everything. 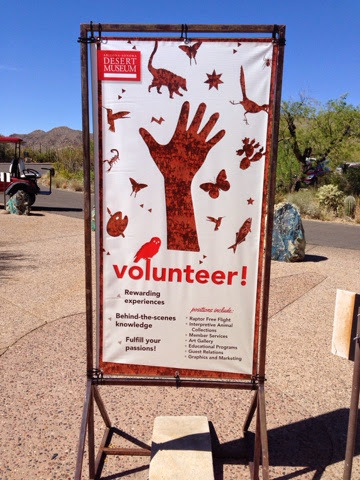 There are many displays around the park and one I stopped at was manned by Volunteer Cathy. I have previously written about the number of volunteers I have met on the trip that support parks and museums. Cathy is a 60 something soft spoken woman with blue eyes and pleasant smile. 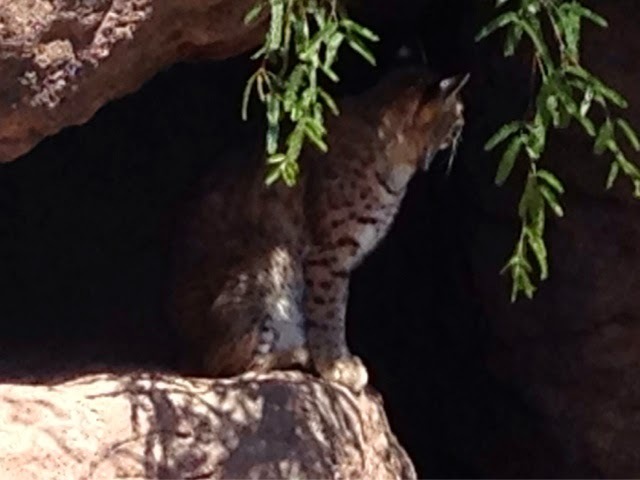 I stopped at her display as she was a bit off the path getting shade from the sun and wasn't catching many people. She was displaying fossils. I had her take me through her script and then started a conversation with her about her volunteer efforts. She volunteers at the museum once a week on Thursdays. You can tell Thursday is her day and she enjoys doing it. I asked her if she gets to pick what she does or gets to do other volunteer jobs and she said yes. She said she can sign up but management has priorities for what must be filled before other jobs. At once a week, I was thinking that wouldn't be too bad to volunteer, as it wouldn't take up a lot of your time. Most volunteers are, or appear to be retired but not all. 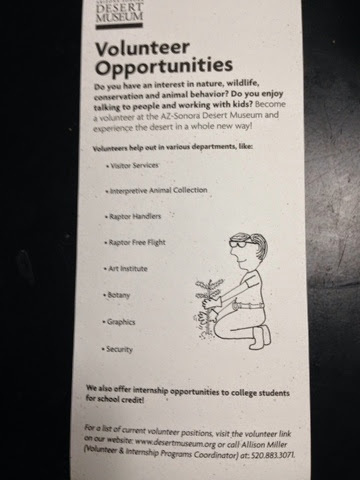 When I was leaving I saw this sign advertising that the museum is looking for volunteers. I thought this was good marketing. Then just down the walkway there are brochures to take about volunteering. This place looks like a fun place to work. I guess the Colossal Cave would be fun too. Remember that my blog does not cover everything I learn about, everything I do, or ieverything available to see. This museum has a lot more to see and do that what I covered, and is well worth the $19.00 I paid to get in. As with all my blogs if you have questions let me know.